In Appositions, Williams does not directly grapple with social identities, but, instead she composes a kind of meditation on the internal self that still gives credence to her own genetic and cultural inheritances as an individual. She feels that dialogues about concepts such as race and gender are important, but that we sometimes need to engage each other beyond these issues and consider what is universal for us as humans. Through explorations of anatomy and bodily functions, Williams seeks a more developed self-awareness of our bodies that she believes will foster greater understanding and compassion as people engage in the world. Williams continues her intricate play of materials to recount a West African folktale of twins in the midst of being birthed in her homage to the Nigerian writer, Chinua Achebe, Things Fall Apart. In held, djet, she coils a taxidermy snake into a figure-shaped root system and cradles it within a pyramid construction in an allusion to expelling in the forms of birth, digestion and traditions of honoring the deceased. “I don’t draw or plan it out; I pick up items and study the functionality of the object and relate it to the functions of the human body.” Williams’ process in art making is tantamount to her products. In roots. 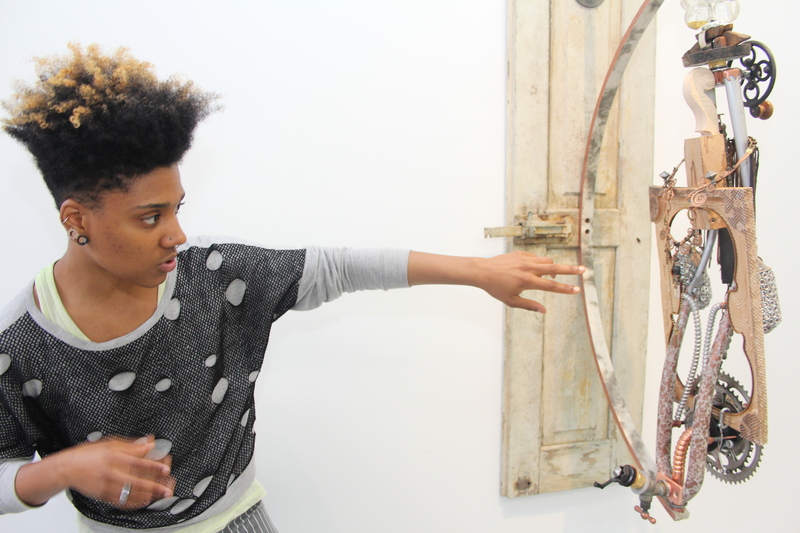 & rigor, her creative approach is aptly broken down into the metaphorical subtitles of “feeding,” “digestion” and “defecating” by the filmmaker, tiona m. Williams’ period of “feeding” is her active collecting of natural and manmade objects. In “digestion,” her art evolves out of a reflection on these objects and questions she poses to herself. 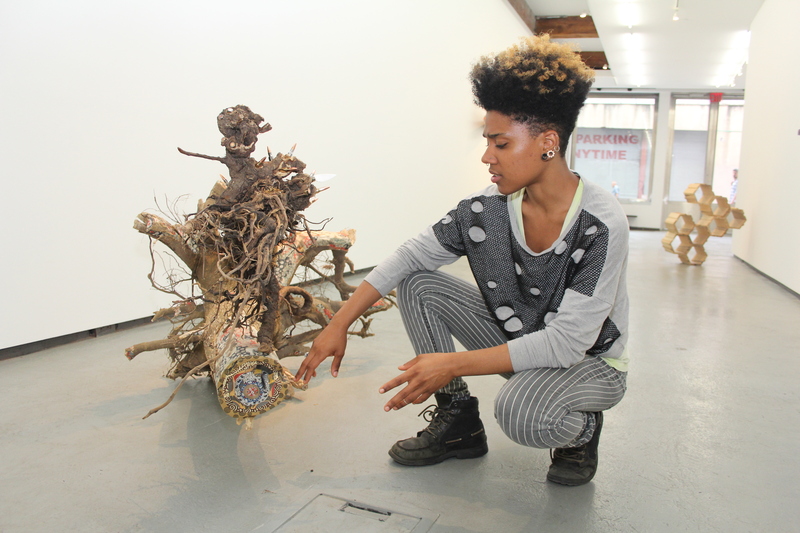 “Defecation” represents the production of her pieces through which emerge a record of her own process of “reevaluation, reassessing, rebirthing and then reintroducing (her)self to (her)self”. 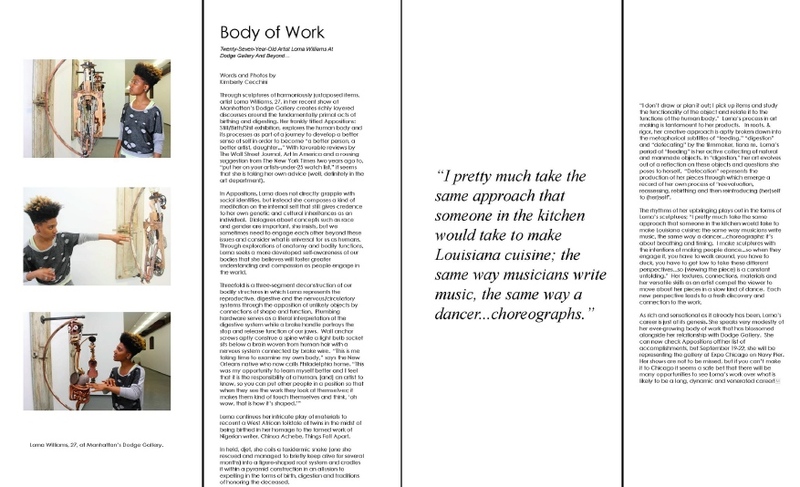 The rhythms of her New Orleanian upbringing plays out in the forms of Williams’ sculptures; “I pretty much take the same approach that someone in the kitchen would take to make Louisiana cuisine, the same way musicians write music, the same way a dancer…choreographs; it’s about breathing and timing. I make sculptures with the intentions of making people dance…so when they engage it, you have to walk around, you have to duck, you have to get low to take these different perspectives…so (viewing the piece) is a constant unfolding.” Her textures, connections, materials and her versatile skills as an artist compel the viewer to move about her pieces in a slow kind of dance. Each new perspective leads to a fresh discovery and connection to the work. As rich it is already, the career of twenty-seven year old Williams is just at its genesis; she speaks very modestly of her steadily emerging career that has blossomed alongside her relationship with the Dodge gallery. This September, she will be representing the gallery at Expo Chicago on the Navy Pier (19th-22nd). Her shows are not to be missed, but if you can’t make it to Chicago, you will have many opportunities to see Williams’ work over the span of what is likely to be a long and dynamic career. The Montclair Film Festival just held its annual Pre-Oscar Party on Saturday and it was not just a nod to the industry because the industry is now taking note of Montclair; three of the festival’s films were nominated for an Oscar and one laid claim to the prize. The winner was last year’s opening night film with Darlene Love, Twenty Feet From Stardom, which documented the careers of back up singers. Heightening anticipation and raising funds for the upcoming fourth year for the festival, the party appeared to be a huge success. The venue was packed and lively with well dressed folks. Partygoers surrounded the stage for a spirited performance from the New York City Gay Men’s Chorus and shortly afterwards, an animated group crowded onto the dance floor. 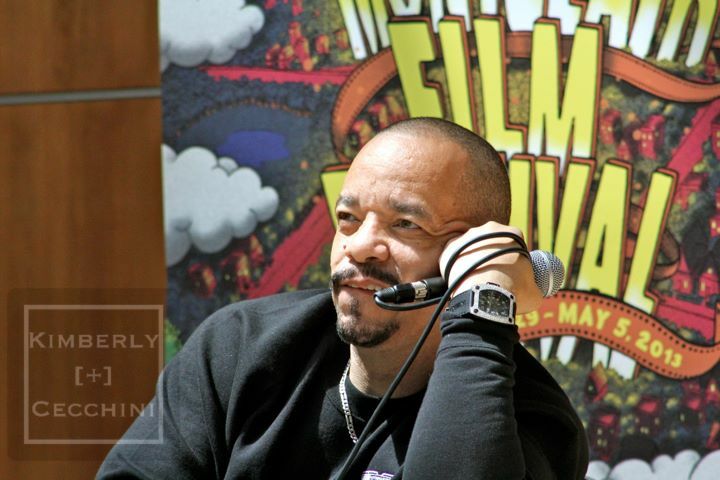 As one of the event photographers for the evening, it was exciting to be amidst the pre-festival buzz. 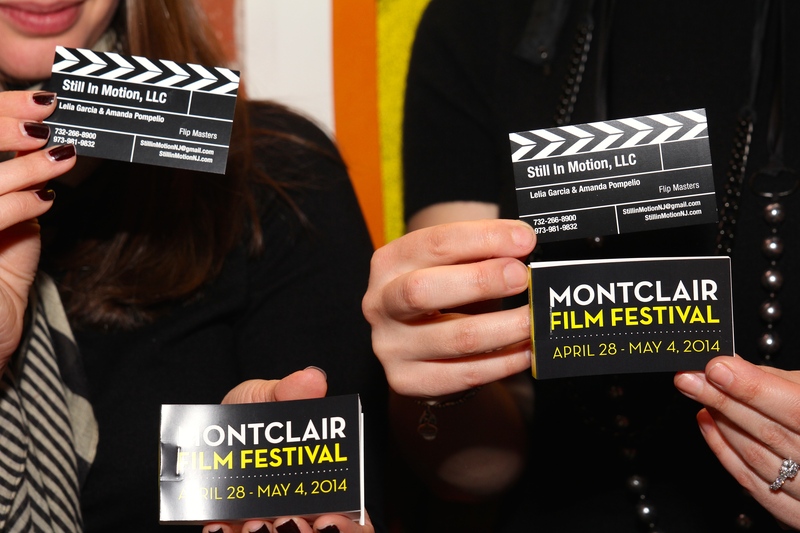 The 4th Annual Montclair Film Festival will be held from April 28-May 4, 2014. For more information, visit montclairfilmfest.org and to view more photos from all of the festival’s photographers, visit the Montclair Film Festival’s Flickr. 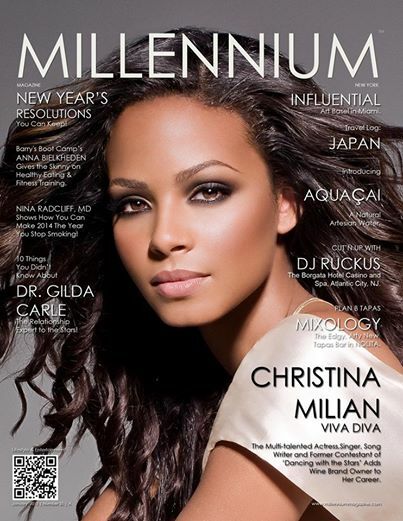 For more of my photographs from Kyoto, please check out the October 2014 issue of Millennium Magazine. There was something romantic about how the heavy rain beat down on the pavement and filled the intimate street with its cadence. Soaked and lost in Kyoto, I felt as though I had been etched into the composition of a Japanese woodblock. It was a typically humid summer day, but my husband and I still wanted to explore the neighborhood on foot from the city’s central station to the hotel. Being that street signs can be a bit of a novelty in Japan, we ended up not just learning about Kyoto through it streets, but also, through its people. A light rain started to fall while my husband consulted the map again, so we pulled our luggage under an awning. Having memorized about three more Japanese phrases than him, I decided to venture a few blocks ahead of him to ask a pedestrian about the hotel. Then, in the span of two blocks, the cooling shower turned into a gushing thunderstorm. Sprinting back through the blinding rain, I returned to find my husband steadying a ladder for an employee under the awning of what turned out to be a kimono manufacturing company. We made fumbling introductions with the handful of staff members that had gathered in the doorway and, noticing my drenched figure, a matronly woman offered me a hand towel. Through gestures and our limited overlap of languages, I accepted her invitation to take off my sneakers and retrieve fresh clothing from my suitcase. She led me to the back of the office where she laid out two sets of slippers and then downstairs to a locker room. Dry and grateful, I rejoined the men in looking outside at the relentless rain. The taxi services were inundated, so we were even more thankful when our unexpected hosts kindly insisted on driving us to our hotel and passing on an extra umbrella as a “souvenir”. The Monterey Hotel turned out to be on a bustling metropolitan avenue, and we laughed when we saw how close it was to the subway station. After bows of gratification and exchanging emails with the young men who drove us, an attentive staff welcomed us into the richly decorated lobby. The graciousness we encountered during the storm was evident throughout our stay in Kyoto. 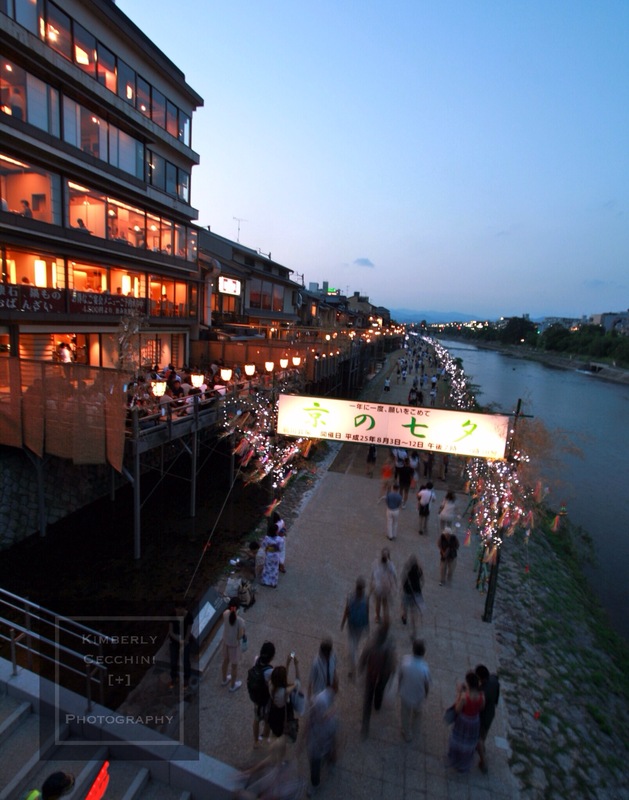 Although we enjoyed the elegantly presented tapas styled meal where we traded our shoes for a pair of slippers and a balcony view of the Kamo River, it was in the unassuming establishments on Rokkaku Dori that we truly felt welcomed. Later that evening, a couple of local high school teachers engaged us in conversation at a sidewalk bar on the road. We shared impressions of Japan and United States over shochu and beer and they picked up another round just to prolong our chat. We lingered over our meal at the mom and pop grill where the women bridged the language gap with spirit and laughter while preparing mochi filled “pancakes” and noodles in front of us. 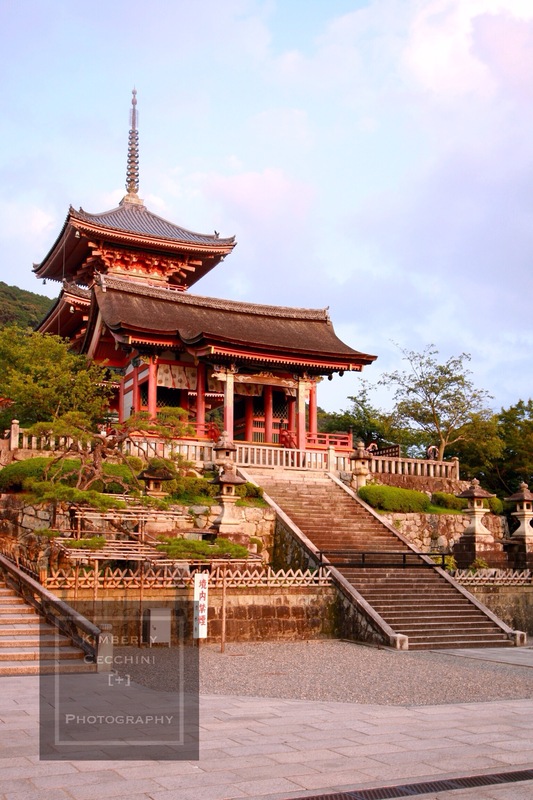 On a suggestion from the Osakan teachers, we visited the Kiyomizu-dera temple. 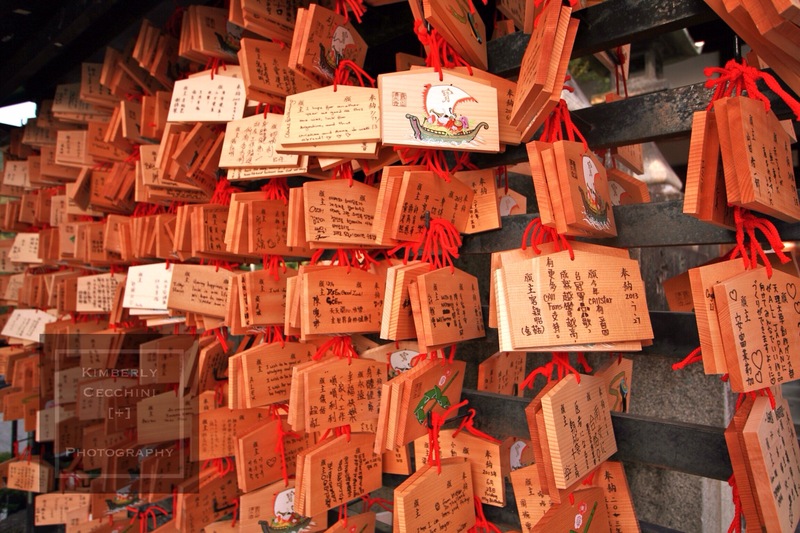 The World Heritage sites’s colorfully ornate buildings and wealth of wooden prayer plaques were stunning against the lush mountain backdrop, but I favored the much more personal experience I shared at the Shunkoin Temple. 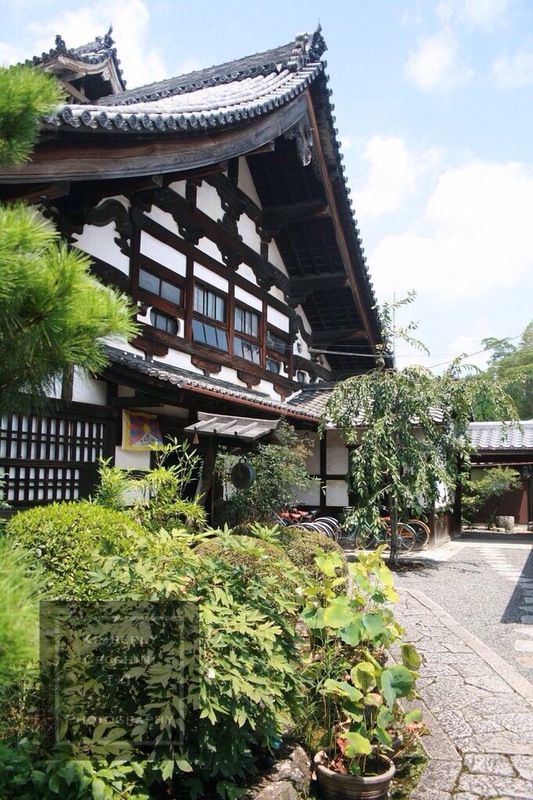 A view of the meticulously maintained gardens, through the expansive windows, set the mood as the young Zen minister compassionately guided us through a practical group meditation session. Afterwards, the reverend shared the temples multi-denominational history and gave us a tour of its colorfully painted gold leaf screens and altar. He allowed us time to meander around the space and answered our questions. Over jade colored cups of traditional maccha tea, my fellow travelers and I exchanged stories of our amiable experiences in the ancient capital. Three days after the afternoon rain, it was time to pick up bento boxes for the two and a half hour ride on the Hikari express train out of Kyoto station. We were anticipating the opportunity to savor the end of our Japanese holiday through a last whirl around Tokyo, but we would miss the accessibility of this cozier metropolis. As the step child of the boroughs, New Jersey’s singular VH1 Super Bowl Blitz starred a name I had not heard of, Gavin DeGraw. Forget about the fact that the New Jersey was the official unofficial host of the big game and I did not even get to a Super Bowl party because the stadium’s melee literally was en route to it. But thank you, VH1, for at least inviting the Garden State to our own party. Not that I was clamoring to cover Brooklyn’s prize of Fall Out Boy, but at least I knew something about their music. And, unfortunately, I did not have the heart to trek through the arctic blast and slushy streets midweek to photograph Janelle Monae’s Blast in the Bronx. So I tried to unsuccessfully recall one of his hits in a YouTube clip and secured a press pass for Gavin DeGraw’s show in Montclair. Despite my having missed DeGraw’s blip in pop culture, I was still looking forward to seeing Montclair’s Wellmont Theater primed for the live broadcast. It was not a disappointment; the faithfully restored theater popped with the color of TV lighting in my wide angle lens. The line outside the theater seemed to indicate that he may have been a good choice for the New Jersey spot. I amused myself before the show by snapping shots of the VH1’s penguin mascot and chatting with the Associated Press photographer next to me in the photo pit. Having been at the Goo Goo Doll broadcast the night before in Staten Island, he gave me a run down on the magic of television. “C’mon, New Jersey, that was only a 6,” one of the show’s engineers prepped the audience for live television with the exact script the AP guy had promised me from his experience at the Staten Island Blitz. The not so inspiring man from behind the curtain coached the audience on its cheers; instructing them to loudly usher in Nick Canon and to amp it up for the star of the show. Unfortunately, DeGraw may not have been the biggest draw as the crowd of lucky ticket winners had to work a little harder to meet the expectations. A couple of my friends appeared behind me as they were among the folks that were solicited with free tickets on Bloomfield Avenue in order to fill the place. At five minutes to broadcast, the folks on the lower level were parted by flood lights, cameras and a small marching band with the penguin. Nick Canon and his co-host, Stacy Keibler, walked into their protected circle and did their first announcement at eleven o’clock sharp, Eastern Standard Time. I’m not sure how many American tuned in that night, but I will say, that DeGraw has some relevancy because there were people in the live audience that were singing faithfully along with him. But, perhaps because I was more of a cynical observer than a fan, I was more fascinated by the spontaneities of this act that looked like it was cued as effectively as the commercial breaks. In fact, luring the extra bodies from the street was a good move because he played the part of a rock star when he came out into the theater to serenade a lucky lady. I could not tell you which song it was because when the house lights came up directly after Nick Canon wished America good night, I still could not recall one of Gavin’s supposedly charming melodies. As I said, Tonight at Dawn will be a variety magazine (as I add the variety) because of the different opportunities that are currently in my life. I am hoping, as I develop it, that I will be able to focus more entries on issues that are closer to my heart such as the environment, social issues and education. I know some folks (perhaps it is you) that I already hope to interview, but if you know of anybody that has an interesting story to tell or are simply a great source for research, please share!